If you're blessed with beautiful shoulders, halter neck wedding dresses can be the perfect choice to enhance your fantastic frame. Combined with soft floaty chiffon fabric a halter neck wedding dress is sophisticated and elegant for weddings at home or abroad. 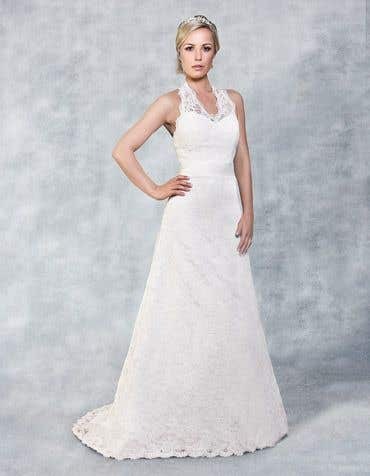 View our range of halter neck wedding dresses online and visit one of our bridal stores nationwide and take home your dream dress the same day! We're open 7 days a week and there's no need to book an appointment, just pop in at your convenience.